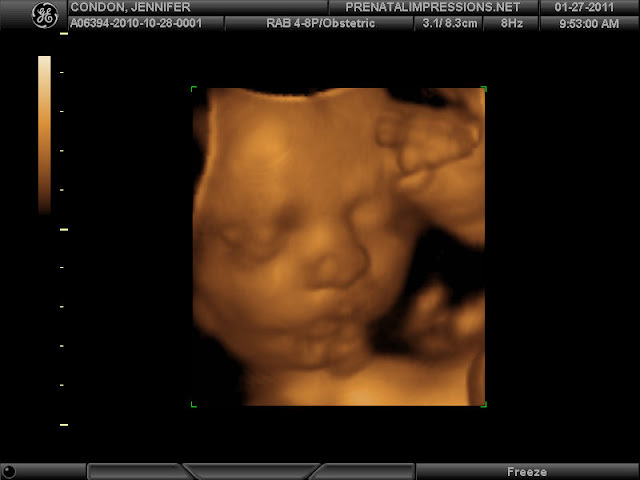 There isn't much to say for this weeks post. 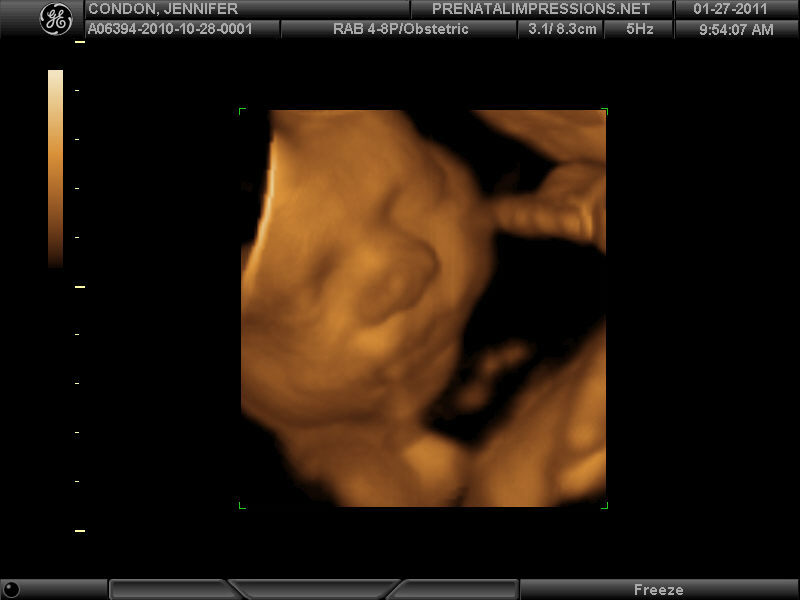 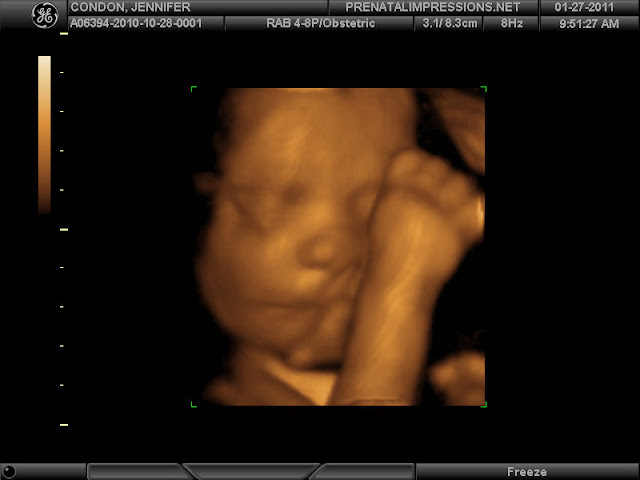 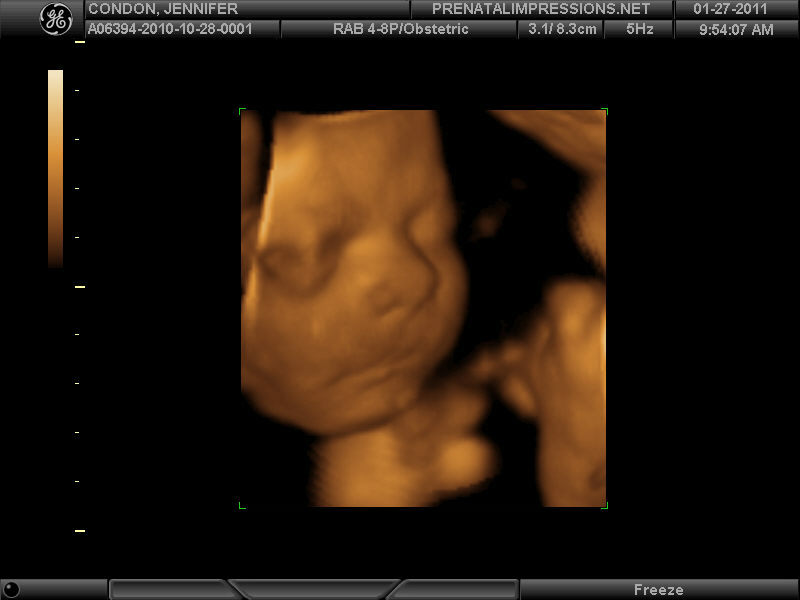 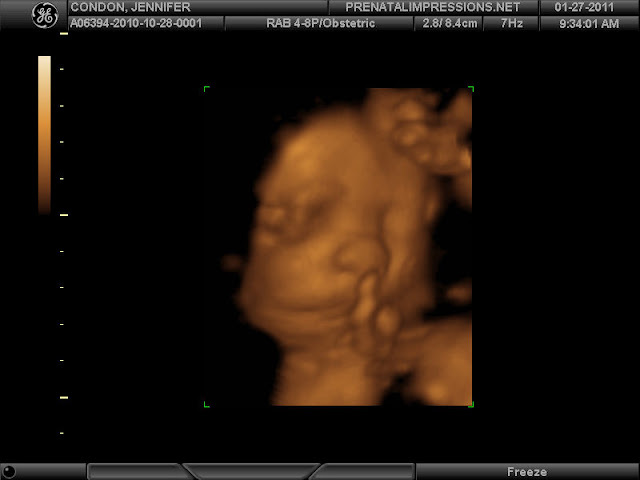 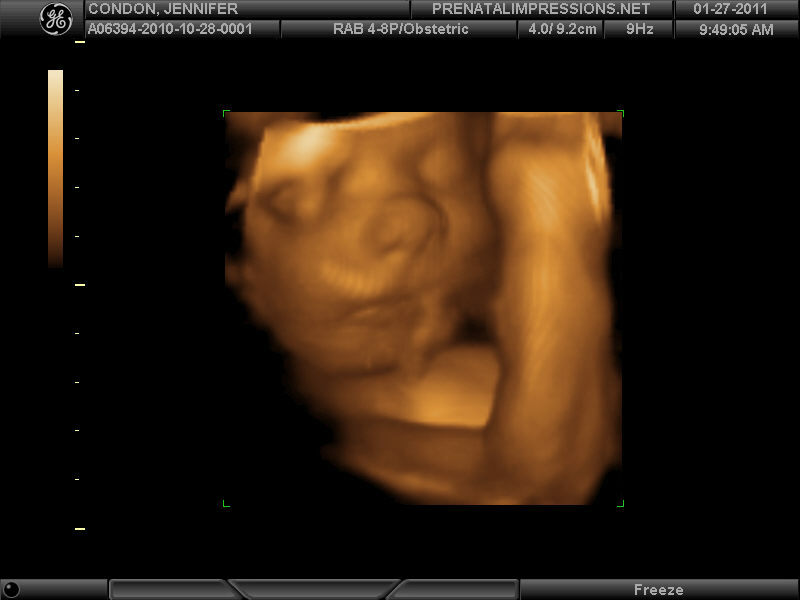 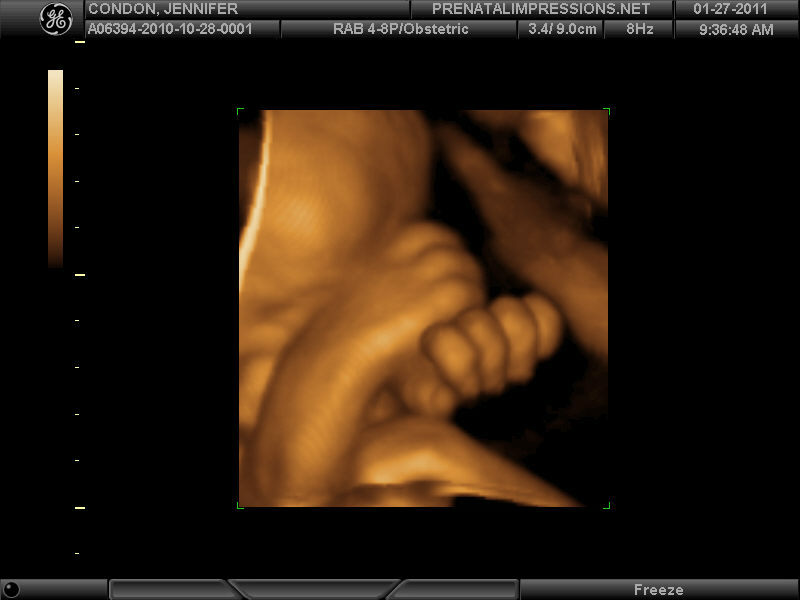 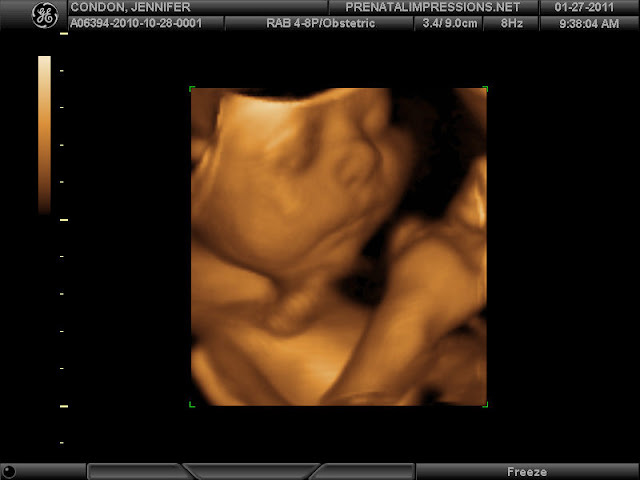 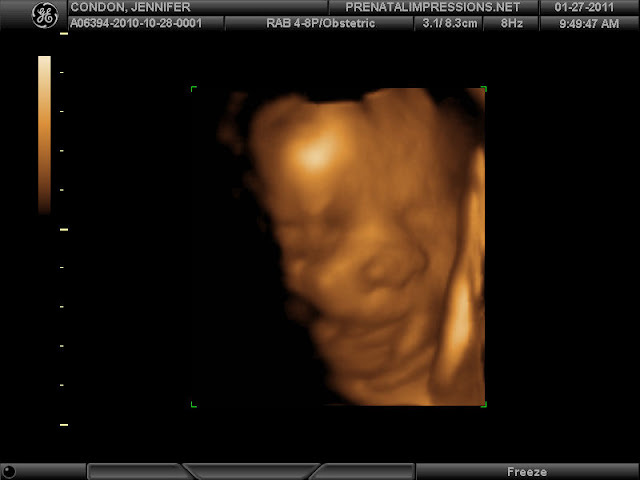 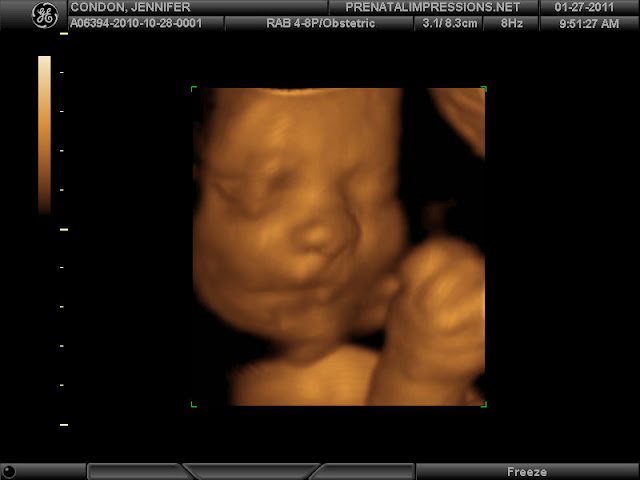 We're still awestruck over the 3d/4d ultrasound we had. 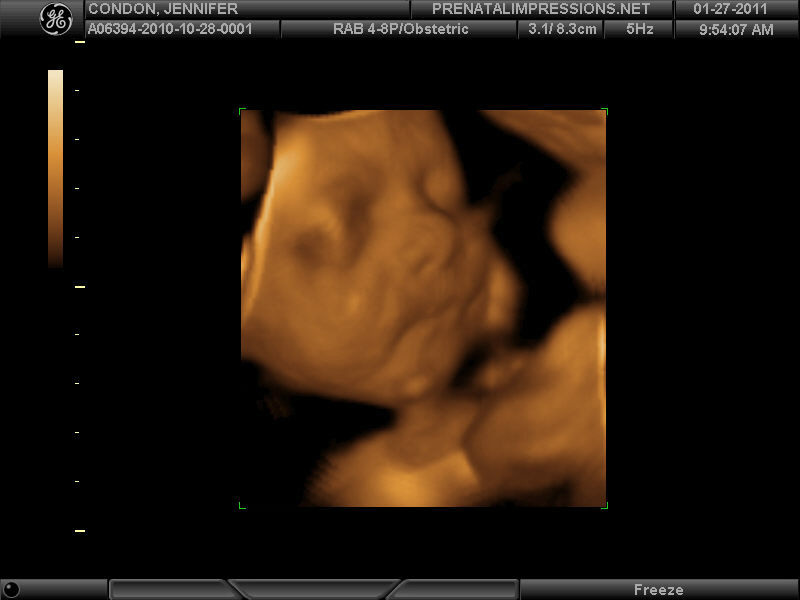 We got to see our little man up close and personal, while in the womb anyway. Having this done just made us even more anxious to finally have him in our arms. Only 78 days or less left! aww, just saw this. it's such amazing technology. wow. 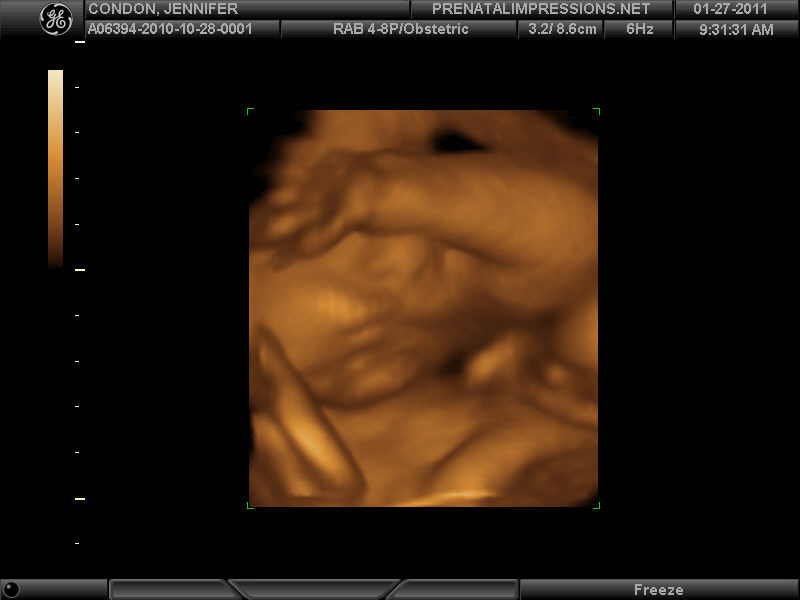 we couldn't be more excited about this lil dude. 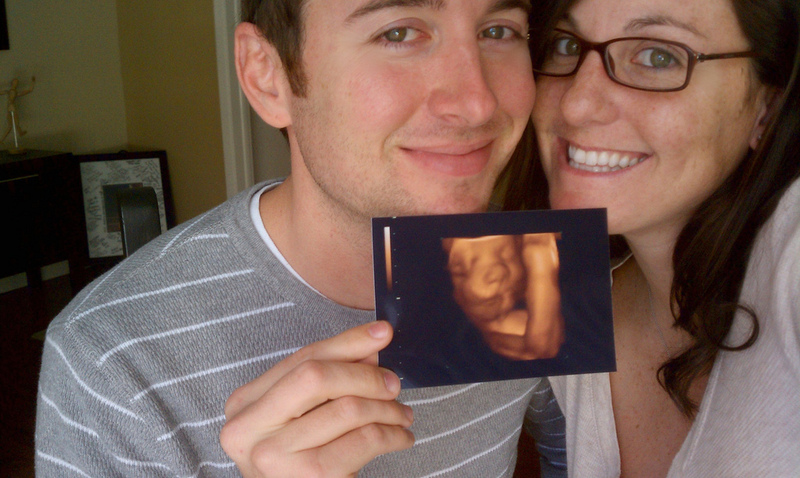 it's just gonna be such a great blessing for the whole family! 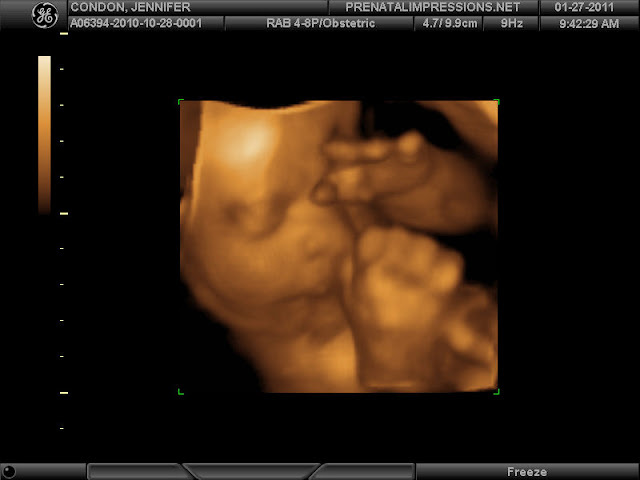 loves it!